The Makerstate Initiative – a partnership between the State Library and the Parachute Factory – is back and could be coming to a library near you! 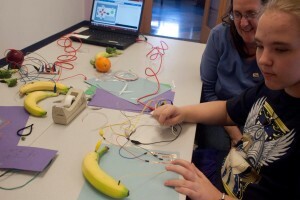 Makerspaces will be popping up in Lea County and other select libraries across New Mexico to celebrate Teen Tech Week. Teen Tech Week, March 8-14, 2015, is a celebration of the great digital resources available at libraries to help teens succeed in school and prepare for college and 21st century careers. Check out the Lea County schedule here. Tatum Community Library – 12 p.m.